…if not multilingual in Mainz…. 28 May	This entry was published on 28 May, 2014 at 08:19 and is filed under Language, Transport. Bookmark the permalink. Follow any comments here with the RSS feed for this post. 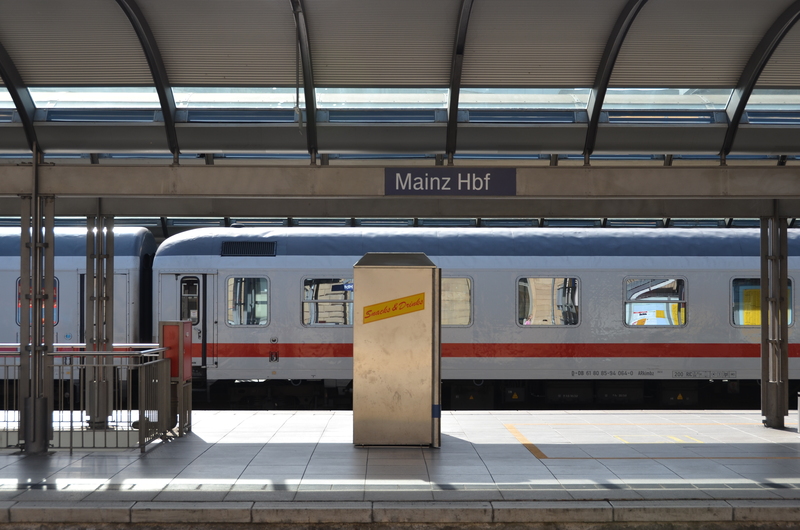 Today I passed Mainz Hauptbahnhof in exactly a train like this, maybe that’s mine. I’ll spend the long weekend in Nürnberg. German signs are often funny. My country dropped the ball when I was a kid, none of us were expected to learn a language, A pity, especially since my parents were multiingual also. I could say “If only you Americans had learned English…”. But I know what you mean. We were slightly more enlightened in NZ – Latin and French.